Incredible strength and an unmatched performance record at the world’s most prestigious indoor events. The Made-in-the-USA X27 & X23 are, hands-down, the most precise arrows ever made—featuring the highest standards for world-ranked tournament archers. With the most exacting spine, weight, and straightness of any arrow, the X-2 Series has the precision that gives competitors an edge to pick up the few extra points needed to win at the highest levels of tournament competition. The high-sheen anodized arrows give archers a scoring advantage and are designed for maximum line-cutting on the unstoppable X7 platform. 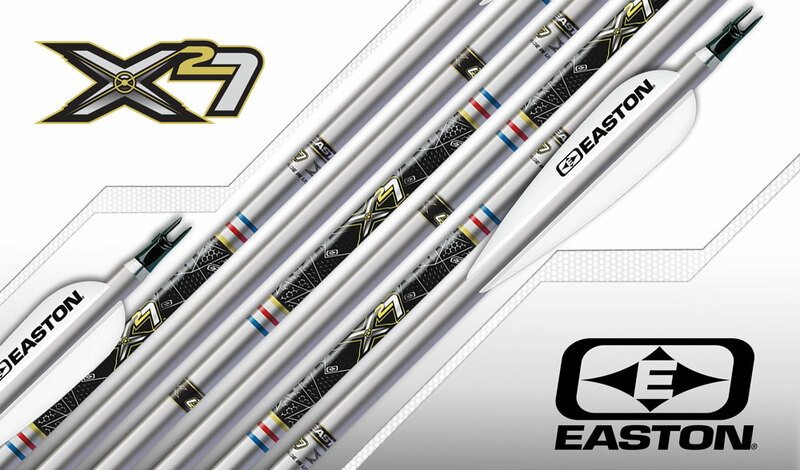 The X27 is the perfect teammate where regulations allow a maximum diameter 27-class shaft. The X23 sizes, including the new 2318, are World Archery compliant where 9.3mm is the maximum allowable shaft diameter. The X-2 Series is available in five line-grabbing large OD sizes: 2312, 2314, 2315, 2318 & 2712.